Together with Ruckus access points and switches you get scale, control and deployment flexibility and your users get a consistently great experience-fast, reliable and secure. Ruckus "super-KPIs" enable IT to more quickly detect and react to potential user experience degradation. SmartZone streaming APIs push in near real-time the full array of Ruckus network data, statistics and alarms to IT's preferred analytics tool with no fidelity loss and no need to create a firewall pinhole. Visual Connection Diagnostics speeds and simplifies troubleshooting and client problem resolution while unique "super-KPIs" enable IT to more quickly detect and react to potential user experience degradation. 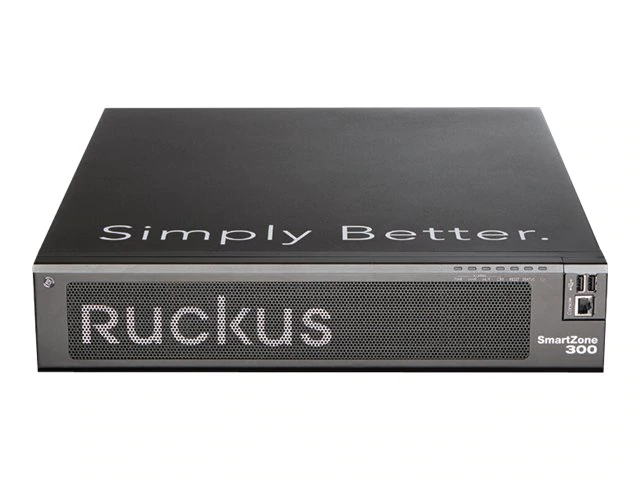 The SmartZone streaming API pushes in near real-time the full array of Ruckus network data, statistics and alarms to IT's preferred analytics tool with no fidelity loss and no need to create a firewall pinhole, enabling IT to effectively respond in the event of rapidly deteriorating network conditions. Download the Ruckus SmartZone Family Datasheet (PDF).